This lanyard has USA Made quality built in and an array of material colors for your custom promotional items. 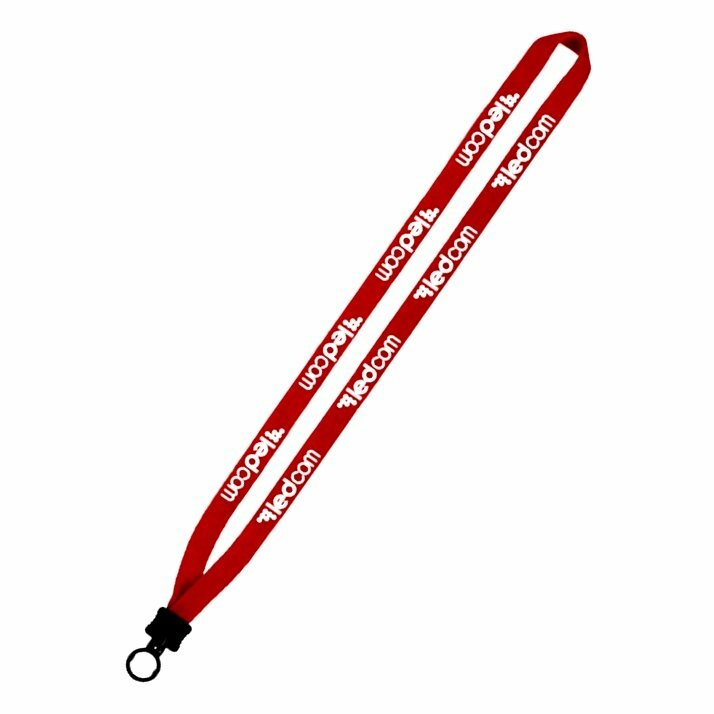 Suitable cotton lanyard for most promotional applications including trade shows, seminars or meetings. Features of the lanyard are knitted cotton construction with O-Ring. Attachments are available. Overall size is 1/2" wide x 16" long each side. Delivery is 2 to 3 weeks. Price includes a one color custom print left and right sides 3/8" high x 12" long. color add a set up of $35.00 and running charge of $.35 each. Logo will require factory ready Illustrator eps or pdf file. Lanyards promotional products max of a 2 color print.